Buzzfeed reported last week that Donald Trump directed Michael Cohen to lie to Congress about Trump Tower Moscow. This would be suborning perjury and would be a Very Big Deal. Although Mueller disputed some of the reporting—it’s hard to say which parts—the chances of the House impeaching the president just rose significantly. Below are recommended resources on the subject. Trump’s latest “deal” to end the shutdown is a nonstarter. As United We Dream Austin points out, the deal offers no permanent solutions and would leave thousands of immigrants at risk of deportation. Our nation is reaching a breaking point. 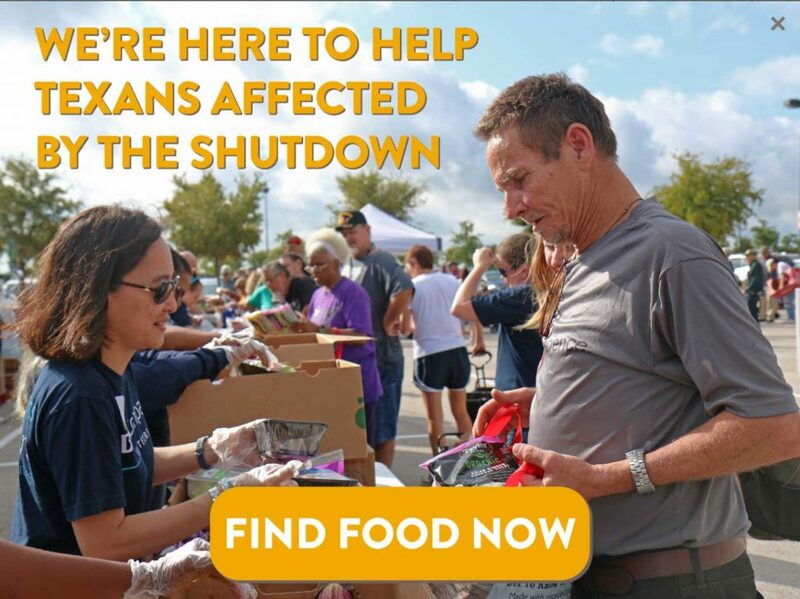 Tell Cruz and Cornyn to pressure McConnell to allow a clean vote to reopen the government—which the House has passed, and which the Senate also passed mere weeks go. See the Events section below about visiting Cornyn’s Austin office at 11:30 a.m. on Wednesday Jan. 23. 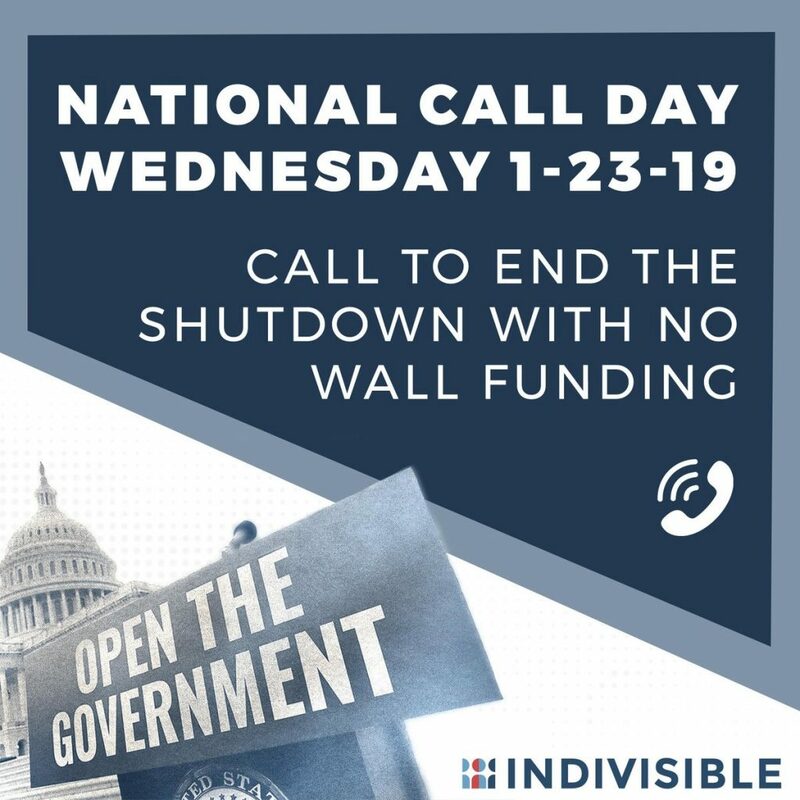 Wednesday is also a national call-in day of action! Most requested donation items: peanut butter, canned chicken breast or tuna, canned low sodium vegetables, canned fruit in its own, juice (no sugar added), dry pinto beans, brown rice, non-fat dry milk powder, 100% whole grain cereal. This is government-sanctioned kidnapping. No child should suffer such cruelty. Call your reps and that, especially in light of these new revelations, they publicly denounce the administration’s family separation policy. Demand hearings. Demand that it end. From one of our actions last week: Mohasif Motawakil, the Afghan interpreter who was detained and held by ICE in Houston, had his visa canceled, and was threatened with deportation, despite having risked his life to support U.S. military operations in Afghanistan, has been released after 7 days. You can now text Your TXLEGE lawmakers with Resistbot. Text “state” to 50409. The Annual Community March celebrates Dr. Martin Luther King’s legacy while uplifting diversity and multi-culturalism in our city. The MLK Community March kicks off on Monday, January 21, 2019 at 9 a.m. with a short program at the MLK Statue on the University of Texas campus. More info at www.mlkcelebration.com. Federal workers are working for free and struggling to pay their bills. National parks are being desecrated. Court trials are being postponed. Tax refunds may be delayed. Where is Sen. Cornyn in this? Pinning the blame on Democrats and holding out for a pointless and destructive $5 billion wall. Asked by the Washington Post whether he was receiving a lot of calls to end the shutdown, Cornyn replied “not many, not many”. Let’s send a message he can’t ignore! Visit Cornyn’s office in downtown Austin and tell his staff the government needs to re-open, and we don’t want Trump’s ridiculous wall. 11:30 a.m., Chase Tower, 221 W. 6th St.
Join advocates from Indivisible Austin, Children’s Defense Fund-Texas and the Cover Texas Now coalition to learn about healthcare issues at the 86th Texas Legislature. 6:30 p.m. at the Willie Mae Kirk Library, 3101 Oak Springs Dr. More info on Indivisible or Facebook. 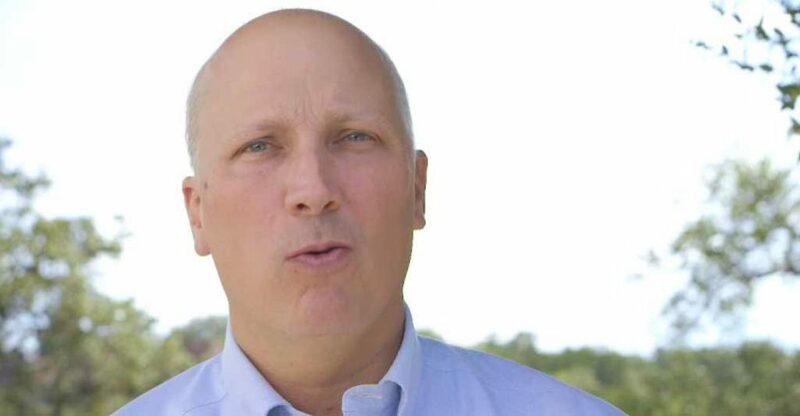 Over here in TX21, Rep. Chip Roy was one of seven Republicans to vote against back pay for federal workers after the government shutdown ends. In an up-is-down, black-is-white bit of gaslighting, Roy claimed in an op-ed in this week’s Statesman that he was doing this to prevent future shutdowns. An alternate proposal: if Chip actually wanted to prevent future shutdowns how about he and his fellow Republicans stop shutting down the government every time they don’t get their way? Chip also conceded that “reasonable people can disagree” on border security, which makes us wonder why Republicans have proven more than happy to hold the entire federal government hostage until Democrats submit to their demands. We’d encourage you to visit Chip’s Austin office to express your views on the matter, but Chip hasn’t bothered to open one. Nor has he scheduled his first town hall. (Apparently, Chip believes people who do work, like TSA agents, shouldn’t be paid while people who don’t work, like Chip, should be). In the meantime, pick up the phone and give Chip a piece of your mind: (202) 225-4236. Indivisible Austin General Body Meeting—Vote on a preferred Date! Indivisible Austin would like to invite you to join us at monthly meetings open to the public. To identify a meeting time which works best for the largest number of folks, we’ve created an anonymous poll—so please indicate which day(s) work for you. Even with the House flipping, it feels like everything is getting more chaotic.